We looked at the top 4 Home Theatre Projectors and dug through the reviews from 11 of the most popular review sites including Digital Trends, New York Times Wirecutter, Tech Gear Lab, CNET, The Verge, Engadget and more. The result is a ranking of the best Home Theatre Projectors. Our experts reviewed the top 4 Home Theatre Projectors and also dug through the reviews from 11 of the most popular review sites including Digital Trends, New York Times Wirecutter, Tech Gear Lab, CNET, The Verge, Engadget and more. The result is a ranking of the best of the best Home Theatre Projectors. JVC's DLA-X590R projector uses optical technology to upscale video to 4K resolution. The result is a crisp, clear display, especially in darker scenes, and a wider color gamut than you'll see with other projectors. DWYM Electronics Experts plus New York Times Wirecutter, Engadget, Sound And Vision. Along with user reviews from Amazon.
" Although the JVC DLA-X590R doesn’t use 4K chips, its optical eShift technology uses upscaling to create a 4K image from a 1080p chip. It supports HDR10 playback, it has two full-bandwidth HDMI 2.0 inputs, and its motorized lens system and..."
"It's very large. Like other 4K projectors, this one needs to be permanently mounted, so you can't pull it out to watch a movie and put it away after you're done." The LG HU80KA projector offers 4K Ultra High Definition video, a rarity for projectors. The clear, accurate picture provides stunning video in an easy to set up unit. DWYM Electronics Experts plus Digital Trends. Along with user reviews from Amazon and Walmart.
" Easy to set-up. Built-in smart TV functionality. Clear, beautiful 4K HDR image. 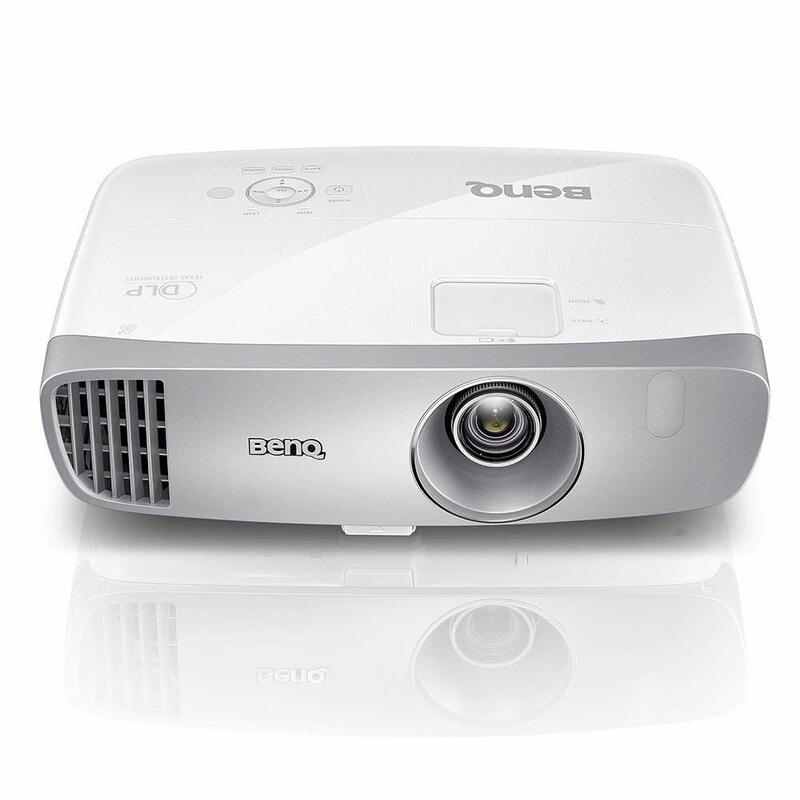 Easy to transport"
If you're looking for an affordable projector, the BenQ fits the mold perfectly. While the picture may not be as crisp as the more expensive models, you'll get good resolution and unmatched portability. DWYM Electronics Experts plus New York Times Wirecutter, Tech Gear Lab, CNET, The Verge, Digital Trends. Along with user reviews from Amazon and Best Buy.
" After spending more than 150 hours testing 20 home theater projectors, we think the BenQ HT2050A is the best projector for under $1,000. 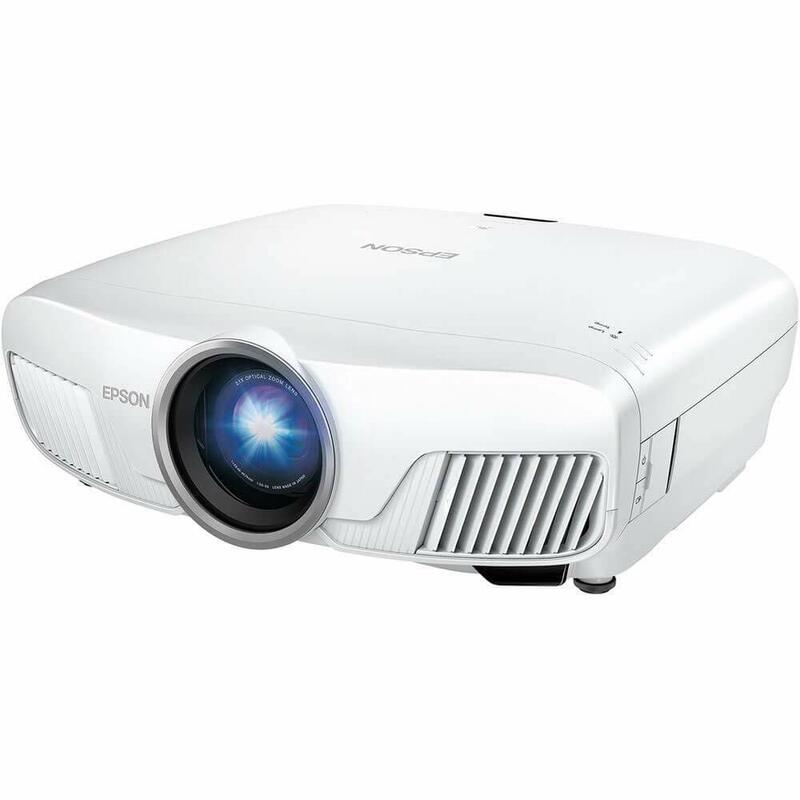 Its best-in-class contrast ratio, bright output, and impressive color accuracy help it compete against projectors costing twice..."
"Dim lamp, not ideal for well lit rooms"
The Epson Home Cinema 5O40UB projector uses built-in technology to upscale to 4K resolution. You'll get true-to-life colors, although the slower HDMI port puts it slightly behind other models. DWYM Electronics Experts plus New York Times Wirecutter, Engadget. Along with user reviews from Amazon and Best Buy.
" If you want a projector that looks great with 1080p content but can also display the improved color and HDR highlight details in 4K content, the Epson Home Cinema 5040UB does a great job for its price. This projector uses..."
"Overall the Epson Home Cinema 5040UB provides improvements over the Sony VPL-HW45ES, but with standard content you might find the 50 percent price increase harder to justify." We identified the majority of the home theatre projectors available to purchase. 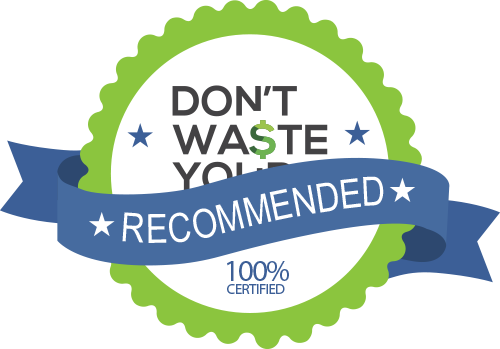 Reviews from our DWYM category experts and analysis of some of the most respected sources including: Digital Trends, New York Times Wirecutter, Tech Gear Lab, CNET, The Verge. The JVC's high contrast ratio creates deeper blacks than most 4K projectors, which allows it to show more details in dark scenes and make everything on the screen pop more, especially HDR content. It isn’t a great choice for living-room or other shared-space use (no affordable 4K projector is really bright enough for that). It's very large. Like other 4K projectors, this one needs to be permanently mounted, so you can't pull it out to watch a movie and put it away after you're done. After spending more than 150 hours testing 20 home theater projectors, we think the BenQ HT2050A is the best projector for under $1,000. Its best-in-class contrast ratio, bright output, and impressive color accuracy help it compete against projectors costing twice as much. The BenQ HT2050 has excellent overall image quality with superb black levels and contrast for the money. A shorter-throw lens helps it project a larger image in smaller spaces. It's relatively affordable for this level of quality. It's easy to set up. You don't need a screen. It works fine in a room with windows and outside. The speaker are serviceable. The image is huge. The HT2050A’s biggest drawback is that its single-DLP-chip design can produce a visible rainbow effect for some viewers,2 but most people either can’t see it or won’t notice it. Competing projectors can get brighter and offer more-accurate color out of the box. Home theaters and offices have long relied on projectors to provide content. For home theaters, though, projectors remain popular for their ability to provide high-quality video on oversized screens. You can access a wide range of projectors in varying prices, from high-powered units designed to be mounted, to moderately-priced units that are portable while also providing crisp images. As you start projector shopping, you’ll probably experience some technology that’s unfamiliar, especially if you haven’t paid much attention to TV technology in recent years. The biggest thing to consider is 4K Ultra HD versus 1080P. While 1080P is high definition, it consists of only 1920 x 1080 pixels, whereas 4K Ultra HD has 3840 x 2160 pixels. The term “4K” comes from the horizontal pixels, which at 3,840 is close to 4,000. Will you notice a difference? A 4K TV has nearly four times the pixels on a screen when compared to a 1080P TV. But projectors aren’t TVs, so when you’re talking about 4K capabilities in this arena, it’s actually a chip built into the projector. The small size of that chip in projectors makes this challenging, which is why 4K projectors are still less common than 1080P. However, some projector manufacturers have made up for that by creating technology that can give the appearance of 4K Ultra HD. This provides a far better picture than you would have had if you went with a strictly 1080P projector. But there are more factors contributing to the picture a projector outputs than whether it’s 4K or 1080P. When looking at projectors, it’s especially important to choose one that can handle the room in which you’ve chosen to use it. 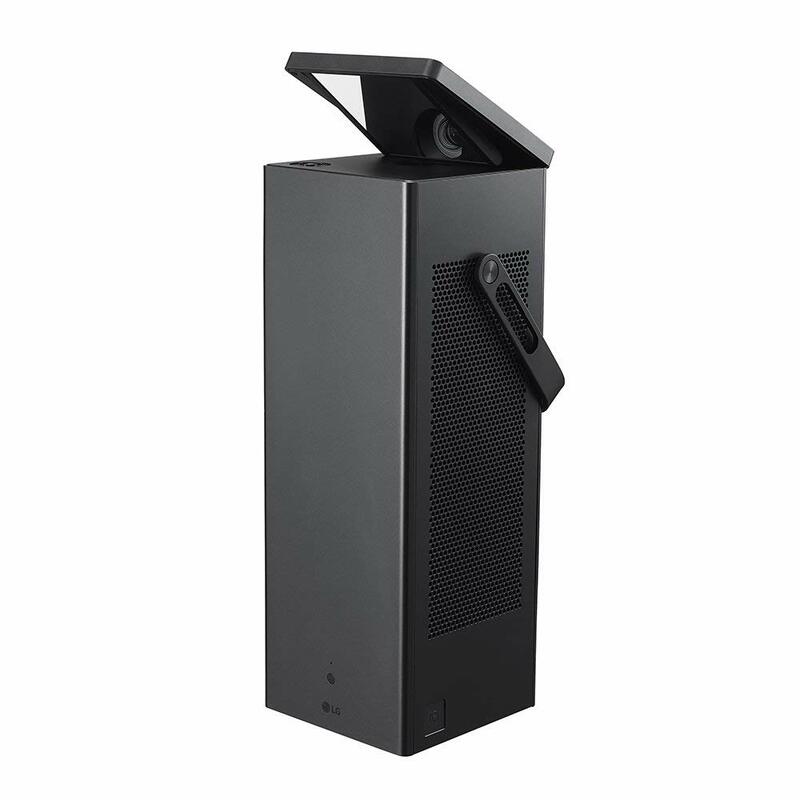 If, like many consumers, you’re buying a projector for a movie room, you’ll need one that can display dark colors expertly even with the absence of light in the room. Much harder to find, though, is a projector that handles a well-lit room well. Knowing in advance that you’re putting this demand on your projector will help you choose one that provides a beautiful picture for years to come. Although Woodville Latham and his sons, Otway and Gray, have long been credited with inventing the first projector, a German priest was actually the first to write about the topic of projecting images onto a screen. In 1646, Athanius Kircher brought the concept of the “magic lantern” to light in a publication called “Ars Magna lucis et umbrae.” This magic lantern had been used in religious practice for years, as religious practitioners learned to project images on a screen using light and mirrors. But Latham and his sons revolutionized projection in 1895, when they came up with a device to project images on a large screen. If you want the best picture, you’ll need to look for 4K Ultra HD technology. LG’s HU80KA offers 4K Ultra HD resolution that provides a crisp, vivid image. However, other projectors use technology to upscale a 1080p chip to 4K resolution. JVC’s eShift5 technology converts 1080p sources to 4K with great results. Epson uses 1080p LCD panels with an optical shift for its 5040UB projector. Contrast ratio is also important, especially if you’ll be using it in a dark room like a home theater. The JVC’s high contrast ratio can battle many 4K projectors, with deeper blacks and more detail in darkly lit scenes. Color accuracy is also important in a projector. If a scene has flesh tones that come across as yellow, it can disrupt the viewing experience. Both the BenQ and Epson projectors have impressive color accuracy. Projectors are built to work with external components, so ports should be a big part of your decision. JVC’s projector has two full-speed HDMI 2.2-compatible inputs that can convert 1080p content to HDMI. Compare that to the Epson projector, which has only one HDMI input. It’s 2.0-compatible, but it provides only 10.2 Gbps compared to JVC at 18 Gbps. Although 10.2 Gbps may suffice for now, you’ll probably begin to notice the difference in a couple of years as technology improves. Once you get your projector, you’ll need to install it. Although you can pay extra for professional installation, chances are you can set them up yourself. The JVC’s built-in presets for various needs make it easy to do it yourself. In some cases, you may want to mount your projector from a ceiling. If this is the case, check to make sure you’ll have the mount you need. JVC projectors need a specific type of mount, and it isn’t included with the unit. The weight of the LG makes it difficult to suspend from ceilings, while the BenQ and Epson work with universal mounts. Before you buy, consider where you’ll be using the projector. If you’re dealing with a smaller space, look into the BenQ, which uses a shorter-throw lens that helps it project a larger-size image in a small room. The JVC also works better in a home theater room, as do many projectors. The BenQ, however, does work well in brighter rooms, even if there are ample windows with plenty of outside light. If you’re looking for a projector you can pack up and take with you, the BenQ may be the best option. At only eight pounds, it’s easy to transport. The other projectors could be transported, as well, but the size of the JVC may make it less desirable for toting around or packing away when you’re not using it. These days, apps are an important part of any video experience. The LG has exclusive Smart TV streaming, which means you can hook the projector up and access content from providers like Hulu, Netflix and Amazon Prime. With the other projectors, you’ll need a streaming stick for the same functionality. For budget buyers, the BenQ will by far be your best bet since it retails for less than $1,000. All other models are over $2,000, with the JVC the most expensive at nearly $4,000. The Epson is closer to $2,000, so that may also be an option to consider if you’re not quite ready to spend a few thousand on a projector. For the Home Theatre Projector category, we analyzed 11 of the most popular reviews including reviews from Digital Trends, New York Times Wirecutter, Tech Gear Lab, CNET, The Verge, Engadget and more. The result is a ranking of the best Home Theatre Projectors.